Natural Ventilation is the evacuation of hot air and fumes directly through an opening in the ceiling. The opening is covered by a weatherproof ventilator, and air-flow is supported by fresh intake air at the floor level. These natural ventilation systems create a cooler and more comfortable building with no operating costs or energy consumption. 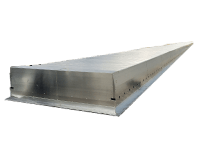 See below all natural ventilation products we can offer you. The MoffittVent™ is one of the most effective and efficient natural ventilation device on the market today. It is capable of exhausting large volumes of warm air from a building without letting any rain enter the building. 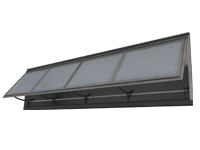 The Ridgepac natural ventilator is designed to be highly efficient, aesthetically pleasing, and a good value with low-cost per CFM. 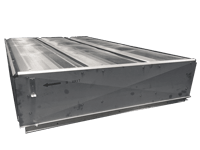 The Thermoflow® low-profile ventilator is very effective at evacuating large amounts of warm air and smoke. 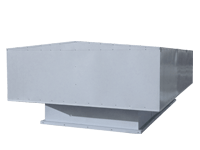 It has been designed to provide superior air-flow capacity levels and simplified installation, while still providing minimal roof load and wind load. Made of marine grade, light gauge aluminum, the GreenRoo™ turbine vent spins easily in the wind. This offers air movement at a greater volume and rate. 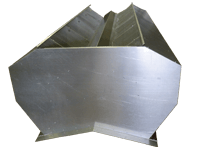 Its light weight means there is little wind load on the roof, leading to easier building construction and making expensive support steel unnecessary. The GreenRoo™ is a big improvement over the old "onion" turbine vents. The LightStream hinged window is suitable for everything from commercial to industrial applications. When mounted low on the wall it allows cool, fresh air to be drawn into the space. When mounted up high it allows warm air to exhaust. When the unit is closed it provides ample daylighting through its translucent panels. The Apollo offers day-to-day natural ventilation and daylighting for heavy commercial to industrial facilities. It's dual opening flaps let warm air flow naturally out of the building. 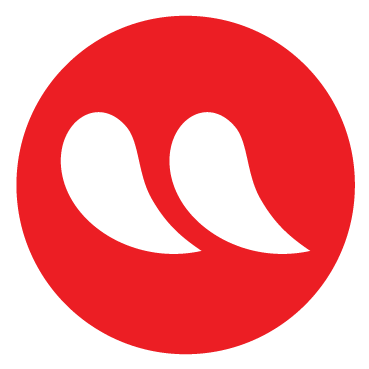 Used for air intake or exhaust, the Econovent has a nice low-profile silhouette that will look good on any roof top. 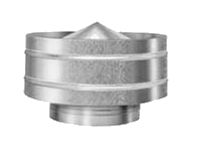 It is available in stainless steel, galvanized steel or aluminum. 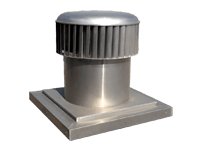 The SG natural ventilator is used in various commercial and industrial applications. Our sales and design team will be happy to help you.